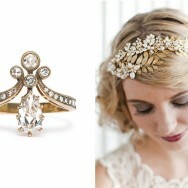 Calling all vintage-loving brides! We’re excited to share Estate Diamond Jewelry with you today. Here at GLW, we’re firm believers that your engagement ring should be a reflection of your individual style. This sounds like a lot of pressure, and let’s be honest, there’s a bazillion options out there. However, we’re continually working to find awesome resources to help you (and your oh-so-fabulous guy) select the perfect engagement ring. First, you’ll need to define your taste. And, as we’ve already determined—you love all things vintage which is why you NEED to check out Estate Diamond Jewelry. 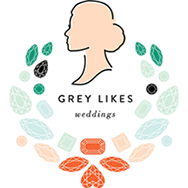 They’ve been in the biz of antique and vintage engagement rings for more than 30 years. 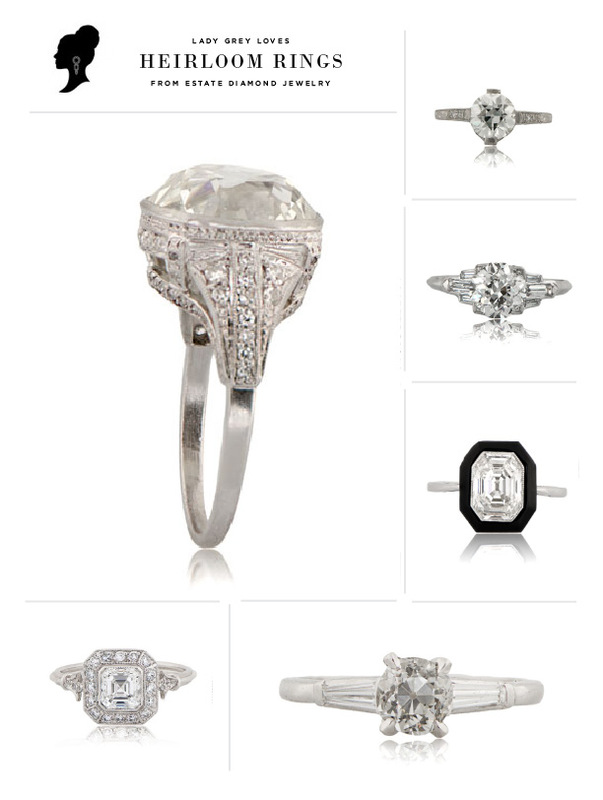 We’re talking gorgeous, one-of-a-kind Victorian, Edwardian and Art Deco engagement rings. Now, there’s plenty of beautiful vintage-inspired designs out there, but there’s something incredible about a true heirloom engagement ring….maybe it’s the story behind it, maybe it’s the breathtaking statement style. Either way, we’re saying GO FOR IT! We’ve rounded up some of our faves below. Make sure to check out Estate Diamond Jewelry for way bigger selection from their Art Deco Collection and Diamond and Sapphire Collection. But you should probably do it fast—like now. Their entire selection is super rare so once it’s gone, it’s gone! This post is sponsored by Estate Diamond Jewelry. All opinions are blogger’s own. 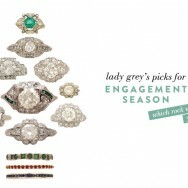 Working in the industry myself, I have seen a great increase in the demand for vintage engagement rings in recent years. The majority of buyers are attracted to their elegance and beauty. I think it is worth noting, that like all other engagement rings, the decision is dependent on your own style and characteristics, as is alluded to in this article. Researching the range of styles available is vitally important. For some, vintage rings may not suit their personalities, while for others they can be a perfect fit.